Rebuilt cylinder head with Valves for International farmall H, Super H, W4. This factory rebuilt cylinder head has a valve train kit installed. Our professional machinists install the valves, springs and retainers to provide a cylinder head which requires you to do no further machine work. Be sure to purchase the necessary gaskets. 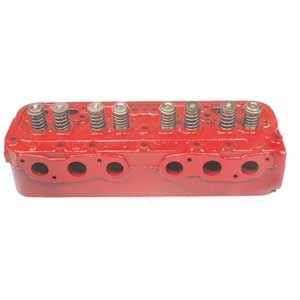 In order to receive core credit, cylinder head must have valves, springs and retainers included. Casting No. 8043D. Core*: $200 The specified core charge will be added to the price of the item. Upon return of the core a refund will be issued.